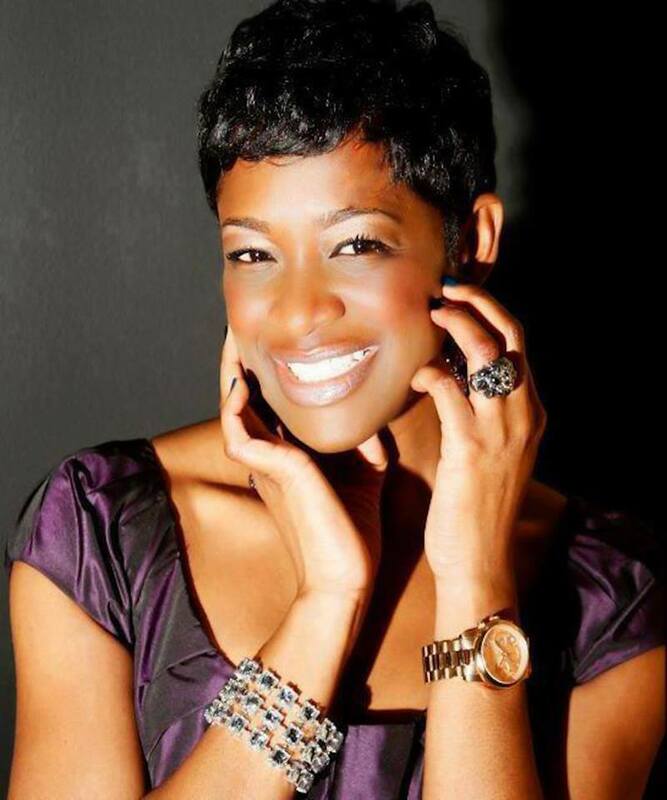 This week's So Stylish Spotlight is Shana of the blog Colorblind. I love thrifting so Colorblind is one of my favorite blogs to link up on Monday's for my weekly Thrifters Anonymous Meeting. 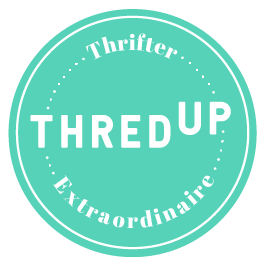 It's a great way to be inspired by other thrifters in the blogging community. I hope you enjoy our interview! Tell us about your blog ColorBlind. Hi, I am Shana from Colorblind. I am not actually colorblind but in a way I guess I have been blind to see color around me. If that doesn’t make sense, then maybe if you saw my closet filled with black and grey, you would see what I mean. Without making everyone totally sad and depressed, I will quickly say that after my fashionista of a mom passed away, I was literally reaching for a connection to her. I had recently married to a man I call hubby, Mr. Kilbourn or Yo (ha ha). I had 3 animals--2 labs named Sophie and Sampson, and a cat named Sasha-- all in a new home. It was then I decided that while I may have lost someone special, I didn’t have to lose myself in the process. So, I threw all of my clothes away that I didn’t like or couldn’t fit it, and began to share my life, my inspirations, and my personal style. When did you first fall in love with thrifting? I did not really fall in love with thrifting until about a year ago, exactly when I started my blog. Our family used to go to thrift stores all the time but I never thought it was cool. I was actually embarrassed. But now I realize that I just didn’t know what my style was or who I was as an individual. When you know that it doesn’t matter what the brand is, or where it came from you just know what you like! You know what I mean? I started thrifting at age 12, but I didn’t really fall in love or truly appreciate it until now. 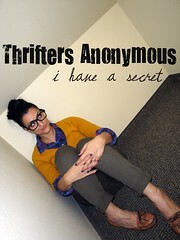 Why do you think the social stigma of thrifting has gone away? I do not know if it has completely gone away. I danced ballet and played the viola for years and it definitely not cool, until shows like Glee and So You Think You Can Dance. Being creative or an artist meant you were a dork! Is thrifting here to stay? I think thrifting is always going to be around. Lately we have found a way to identify thrifting to something vintage. It is no longer old but considered vintage, so now everyone wants in! While everything is not vintage, the quality of the clothes made in the 50’s, 60’s or even 70’s was impeccable. They did not fall apart after one wash.
How often do you go thrifting? The key to thrifting is to go often, though you have to be picky and precise. Know your thrift stores and pay attention to the days and deals. For instance going to Savers on a Monday means you can take advantage of a 50% off tag and a $.99 tag. Wednesdays at Goodwill offers a 25% off and 75% off! Set a small budget and try to stay under. If you follow these simple rules, you can go once a week and not break the bank. Remember just because it is thrifting, doesn’t mean you don’t spend as much money as you would at the mall, you will way more jackets, shoes, purses and dresses…or is that just me? What is your favorite or most treasured thrifting find? I have some amazing finds, especially blazers and jewelry. But some of my favorite finds have to be my vintage Dooney bag that I found at Savers for $12; my olive green lace DKNY skirt; and my vintage (50’s, 60’s) brown and black dress and the vintage white one I wore for New Years this year, both from Goodwill, both under $8!! What are your top tips for thrift shopping? I wear comfy tight clothes.. gym clothes are the best and flip flops or something with some color, when you try things on sometimes you get the best combos and ideas from what you are already wearing, and try them on over your clothes…dressing rooms are too small and often crowded! I TRY ON EVERYTHING over my clothes in front of a mirror, honestly I just hate being in the dressing rooms and I feel like I can talk with photographer extraordinaire about the find. And that brings me to the last and most important thing I do, I NEVER go alone. I mean the best part about shopping is being with someone to share in the high you get! Bring a friend to discuss fit, get you out of something you are stuck in, tell you how ridiculous you look, or help you weed through what you chose before you check out! Every Monday I host a ThriftersAnonymous Meeting where everyone can share their thrifty, crafty, or “I got it on sale” goodness. I just celebrated over 50 meetings and I am beyond humbled by the amazing women and men, believe it or not, who have personally emailed me to let me know that they have been inspired in some way or another through “attending” meetings. Join in every Monday and link up! I am really excited to begin volunteering with an incredible non-profit program called Dress for Success here in Las Vegas. Their mission is to provide disadvantaged women with professional clothing, career counseling and professional development. It is so important that we realize that often times how we dress reflects how confident we are. I have said this before, but thrifting removes the stigma that you have to be a certain way or look a certain way to wear a special brand or type of clothing. A thrift store is filled with so many brands, sizes, generations of clothing, and in the end, all that matters is what fits and what inspires you! 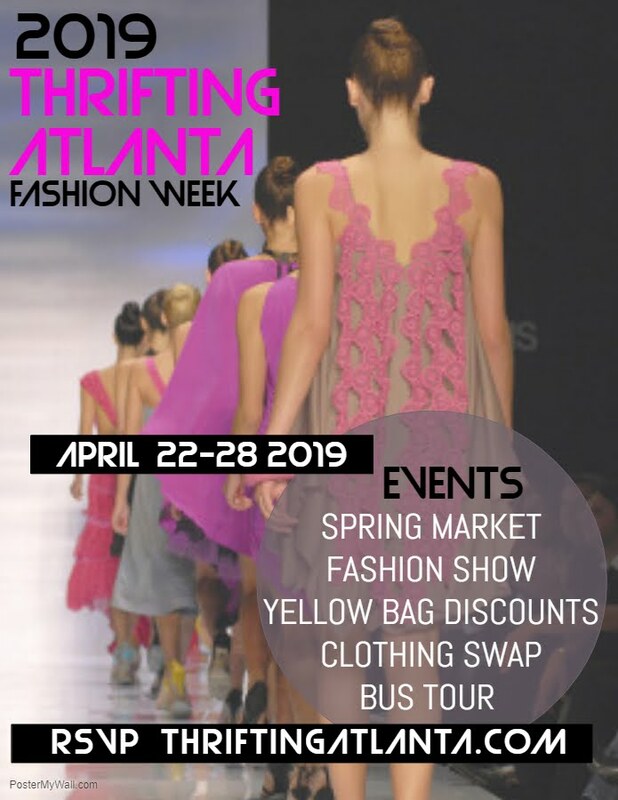 I have been asked by many friends and family if I would host a styling and shopping session and I think I will begin to dive into that world. I would love to write a column answering styling questions or just beauty topics…and I have been talking about this for some time but very soon you will begin to shop my closet! I have had two closets break on me, and I now realize I must find a new home for some of my pieces…Thank you to everyone for their support and to you Miss Kay Cee…it is women like you that inspire me daily..knowing that there are women out there celebrating fashion through a different light, no matter who you are! WATCH her on YouTube and FOLLOW her on twitter too! Shana is great! I LOVE her blog. She is a great thrifter and seems to be a ball of fun! Great Feature!!! Thank you so much Keren!!! This means a lot to me, and I can't wait to thrift with you divas and tear this town up!!! Thank you to everyone for their support as well. I love Shana's blog. Lots of drool worthy hauls. Great interview. Shana is on of my favorite bloggers!! The amazing things she finds while thrifting and how she wears them is awesome!!! Always nice to "meet" a fellow thrifter. Great interview! She has a great sense of style and awesome thrifting tips. absolutely amazing, I want one! You have a lovely blog and I am a new follower!